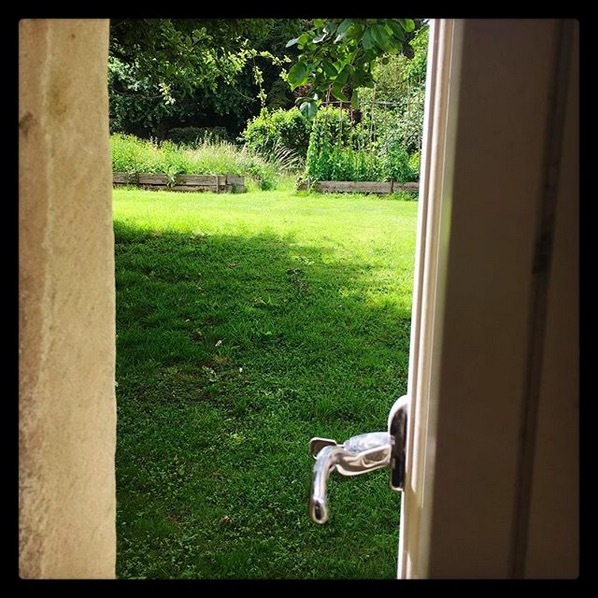 Have you ever wished that you could wake up in an English farmhouse, sprigs of heather and primroses in a vase on the bedside and the smell of fresh-baked cardamom scones and just-brewed tea wafting up through the perfectly weathered old floorboards? Sigh. Us too. Luckily, until our "dreamhouse in the Cotswolds" becomes a reality, we've got just the thing for bringing some of those beautiful English countryside vibes into our everyday: John Julian's exquisitely crafted porcelain. 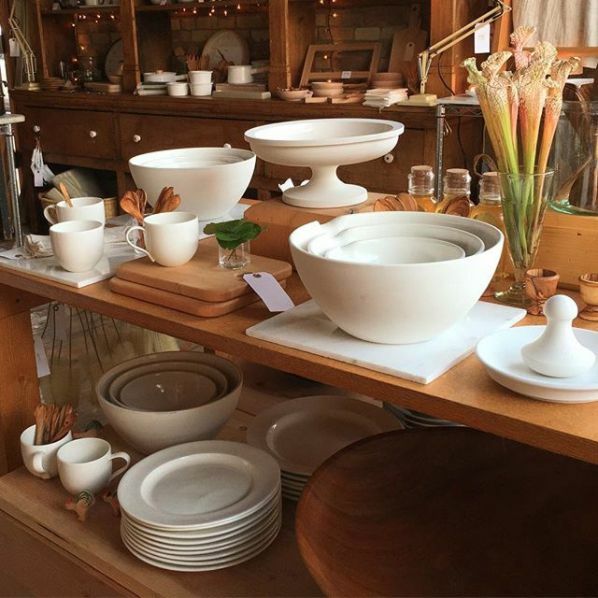 Hand thrown, fettled (a word we love—it's when a piece of porcelain is smooth finished by hand using a knife and a sponge before going into the kiln), glazed, and fired at exceptionally high temperatures, this simple, beautiful porcelain is lovingly made to last in John Julian's cozy workshop in Wiltshire, England. Designed by artist + sculptor (and dare we say...dreamboat?) Julian Sainsbury, these classic silhouettes recall the traditionally lovely, elegant-workmanlike shapes that have been gracing English kitchens and tables for hundreds of years. And the color? It's natural. 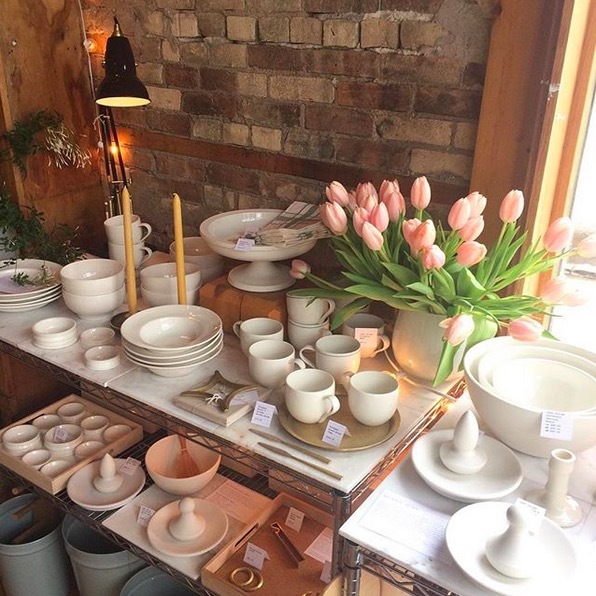 The porcelain clay itself is an almost-luminous soft white, so all of the pieces are either finished with a simple clear glaze, "half-glazed"—where the interior of the pieces are glazed and the outsides left naturally matte (like the mixing bowls or the insanely gorgeous fruit stand), or left completely natural (like the mortar and pestle) to let the material itself shine. Contrary to popular belief porcelain is not fussy, in fact just the opposite. Prized for centuries for its strength and durability, this porcelain—in all of its finishes—is seriously durable and designed for everyday wear. 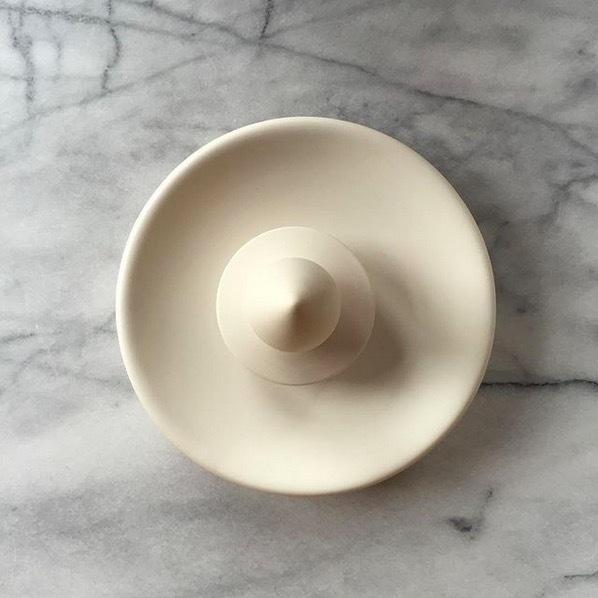 Use it and love it, serve it and show it off, put it in the dishwasher or pop it in the microwave, put it to work in the kitchen or let it out to play at the dinner party, and, if you're serving those scones, invite us over! What's in stock! 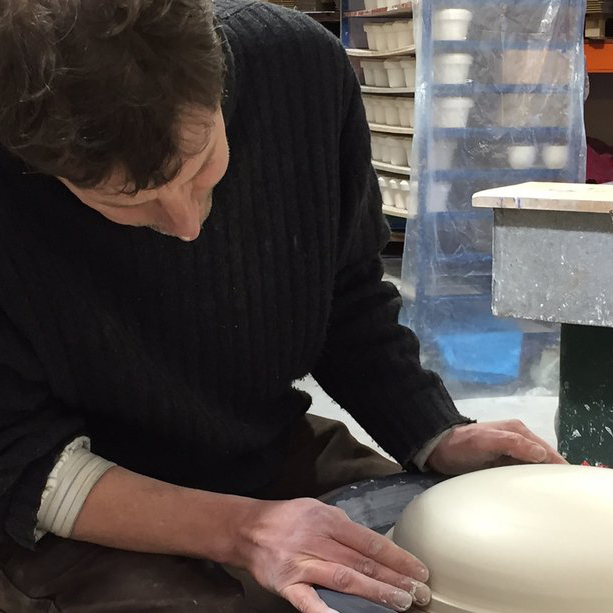 Click here for a quick look at John Julian porcelain at The Foundry!